Churro Quesadillas by Kristi Murphy - GetCooking! KitchenAid’s – Churro Quesadillas by Kristi Murphy recipe. These Churro Quesadillas are served with a sweet cream cheese filling and are sure to put a smile on your face after the first bite. Let’s get started! We’d love to hear your feedback on this video recipe format in the comments section below! 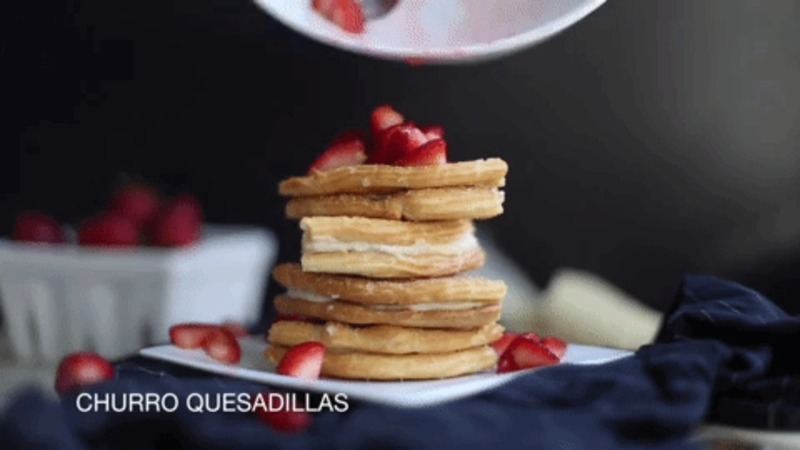 If you used this video to make Churro Quesadillas by Kristi Murphy, please tell us how it went! View the original recipe notes here: KitchenAid’s – Churro Quesadillas by Kristi Murphy. We give this one 5 stars, what about you?